Corruption has become a national plague, an integral part of the Israeli regime of concentrated power. Knesset members and the government bureaucracy have gathered immense economic power. They gouge most of the population for taxes while exempting their cronies. They grant the inner circle monopolistic rights worth billions. There are a few honest people among them, but is there any chance that anyone from that crop won't become infested, that an open door won't tempt thieves? Certain politicians and bureaucrats and their friends who serve the tycoons allow them and their huge companies to steal billions from hundreds of thousands of families who can barely stretch their budgets to the end of the month. A list of "pigocks" ("havasim" in Hebrew, a play on the words for "pig" and "peacock") was recently published that included many former senior figures in the Treasury and the Bank of Israel. In exchange for bloated salaries and millions of shekels in bonuses, they "manage" the tycoons' monopolies. To their discredit, they help tycoons wring all sorts of benefits out of the government, all sorts of privileges and monopolistic rights that squeeze the public, especially low-income citizens, out of billions by setting inflated prices. They receive giant salaries, even if they are the failing directors of businesses that earn profits only by exploiting the public. Aided by top lawyers, who twist the law to their liking, and with the help of leading accountants, who make worthless presentations that obscure the bad situation of the tycoons' businesses; with the aid of friendly bankers, PR people, and chirping media canaries, they have pulled billions in credit out of our pension funds and flung them at speculative projects. Billions in pension fund money have been wiped out and emptied the coffers of the Israeli economy, whose excellent human resources and the trillion shekels in foreign investment were supposed to make one of the richest economies in the world. These are the successful "captains of industry" whom attorney Ron Caspi warns us against restraining, lest they leave, abandoning us with nothing. The Dankner family, for example, got the franchise to produce salt from government property at Atlit, near Haifa. As agricultural ground, it wasn't worth much, but for some reason the Israel Lands Authority gave a green light to upgrade the lots for extended construction. Their value soared. 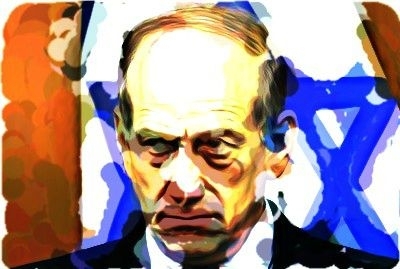 The deal didn't go through, but a letter of intent was enough for Bank Leumi to give the Dankners a loan of 358 million shekels ($103.5 million) to purchase some 12 percent of Bank Hapoalim and leverage their status in the bank to take control of IDB and other key companies, only to bankrupt them. The tycoons' thievery has wrecked families. It also undermines our security. Over a million young Israelis have moved to the U.S. and to Europe, not out of lack of patriotism but because they cannot support a family on 5,000 shekels ($1,400) a month when the price of an apartment is equal to 140 salaries and the price of products and services are twice of those in the U.S. The chance of promotion in the workplace is slim. Most employers are controlled by tycoons or by monopolistic unions rife with corruption that prevent outsiders from moving up the ladder. Israel wouldn't be the only country that corruption -- which lets politicians, oligarchs, and monopolistic unions control the economy -- causes to crumble. But it would be the first Jewish state, whose children gave their lives to found it, to be destroyed by people lusting after power and lucre, because most of its people -- even the elite -- are ignoring the fact that without bread there can be no ideals and that the economy is being exploited, and are saying nothing.